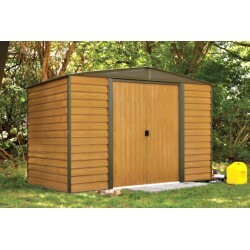 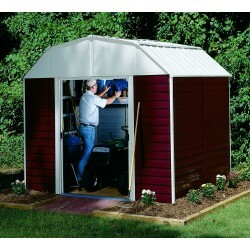 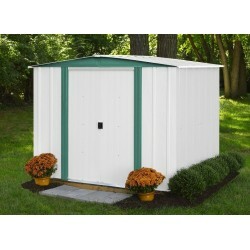 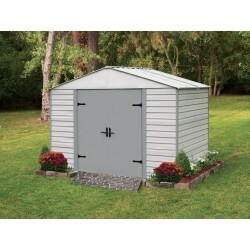 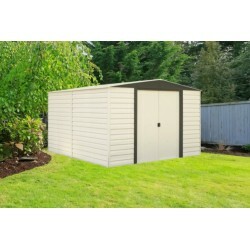 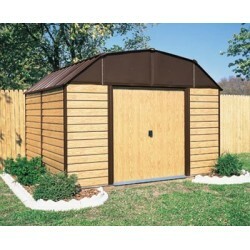 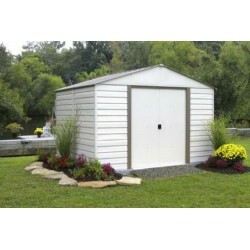 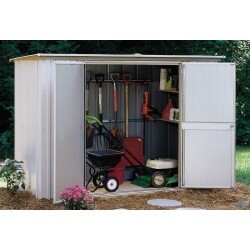 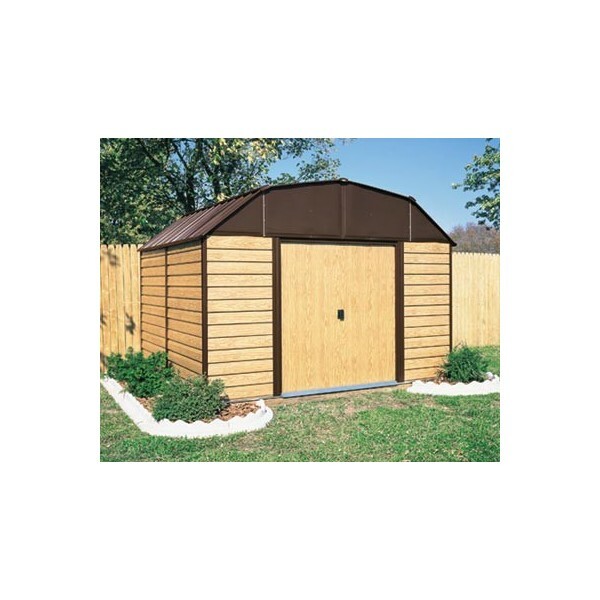 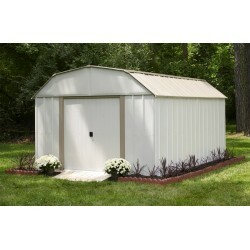 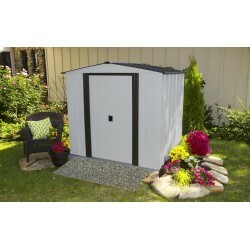 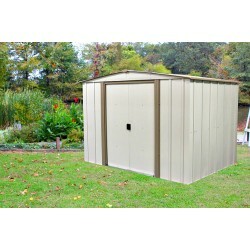 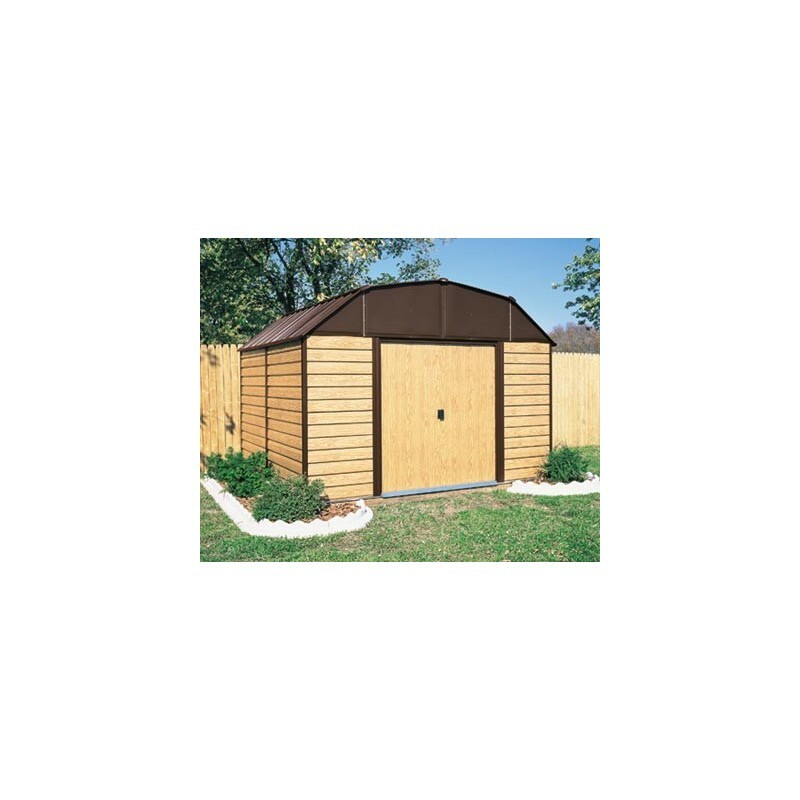 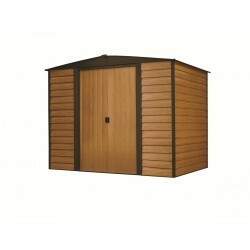 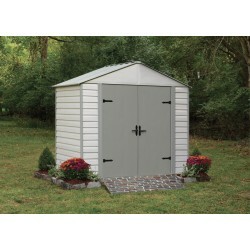 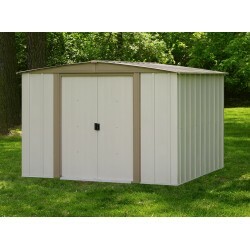 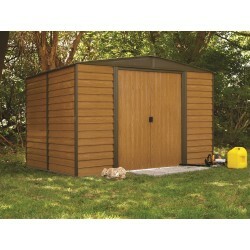 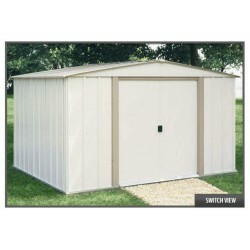 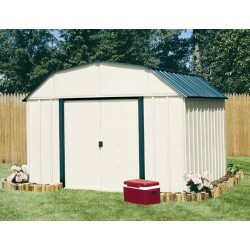 Horizontal Woodgrain wall panels and a tall barn shape roof make the 10'W x 9'D Woodhaven Shed Kit from Arrow an attractive steel storage solution to household clutter. 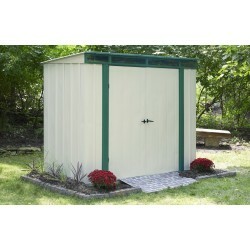 Horizontal Woodgrain wall panels and a tall barn shape roof make the 10'x9' Woodhaven from Arrow an attractive steel storage solution to household clutter. 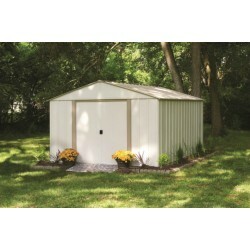 The Woodhaven offers a large 553 cubic ft. of space. 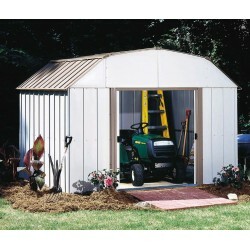 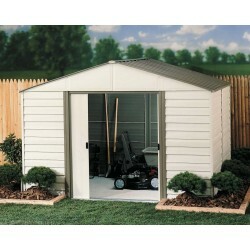 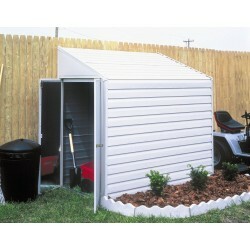 A wide door opening allows easy storage of large equipment like riding mowers. 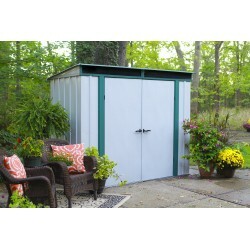 An interior height of over 8 ft. provides extra head room and a greater work area. 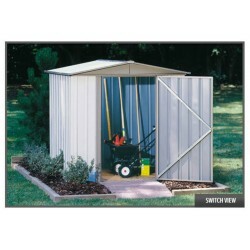 Horizontal panels "drop-in-place" for faster assembly. 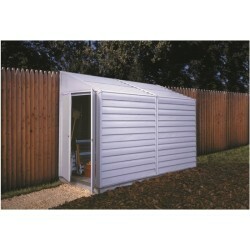 Durable steel parts are pre cut and pre drilled for building convenience. 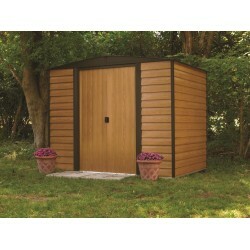 The Woodhaven is backed by a 12 year limited warranty.